Musicista americano di genialità e fantasia oltre che grande pedagogo è il fondatore del Festival di Musica Classica Internazionale “Settembre in Musica” di Ascoli Piceno dove ha creato la tipica atmosfera della rassegna residenziale. Nato negli USA ha partecipato giovanissimo alle master classes di Pablo Casals. Allievo di Nadia Boulanger a Parigi e, dopo la laurea all’Università di Harvard, di Antonio Janigro a Stoccarda e a Salisburgo, divenne assistente, collaboratore e, infine, successore del Maestro. Vincitore di un concorso a Salisburgo nel 1974 ha ricevuto, in breve successione, tre premi internazionali: “Casals” a Barcellona, “Cuccoli” a Bologna, “Rockefeller” a New York. La conseguente attività concertistica e pedagogica lo ha indotto a stabilirsi in Europa. Attualmente è titolare di cattedra e vice direttore alla Hochschule für Musik und Darstelende Kunst di Mannheim. È spesso membro di giuria in concorsi internazionali. Tra le varie registrazioni discografiche annovera le sei “Suite per violoncello solo” di Bach e l’opera integrale di Fauré, incisa con il noto pianista Pierluigi Camicia. Was born in Akron (Ohio, USA) in 1946. He received his first cello lessons from Ernst Silberstein, and then from Leonard Rose and Maurice Eisenberger. He made his debut at the age of seventeen as a soloist with the Cleveland Orchestra, and in 1964 and 1965 he was invited to the Marlboro Festival where he participated in the master classes of P. Casals and performed with R. Serkin as wel as with other prominent artists. After graduating from the Harvard University he went on to study harmony and composition with N. Boulanger. He furthered his cello studies with A. Janigro and soon became his assistant in both Stuttgart and Salzburg, then his successor in Stuttgart, and since 1991 he has been teaching at the High Schools of Music in Heidelberg and Mannheim. 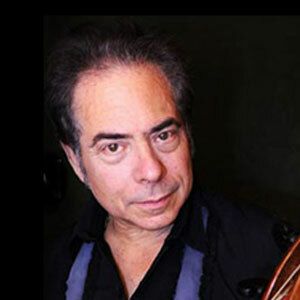 He made his European debut in Salzburg in 1974 and was the prize winner at the International Violoncello Competition in Bologna in the same year. In the 1975 he received the Casals Centenary Award in Barcelona. He has concertized widely in recitals, chamber music concerts and with orchestras throughout Europe and in the Far East, as well as conducted master classes in Germany, Austria, Switzerland, Italy, Poland and Croatia. He has recorded for many radio stations and made CDs with, among other compositions, all the suites for violoncello solo by J. S. Bach and the entire oeuvre for cello and piano by G. Faure.